Looking for monthly inspiration? This Every Day With Jesus Wall Calendar offers you space to reflect on God's greatness. 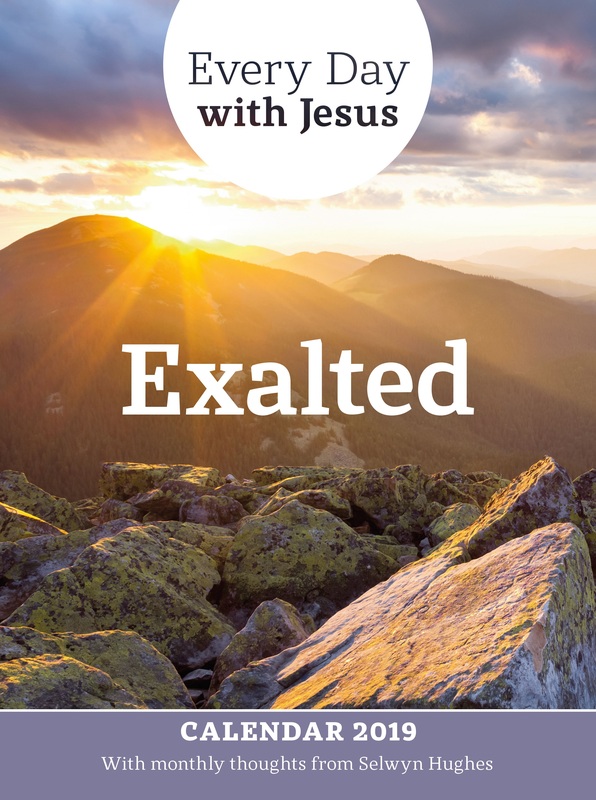 This year's Every Day with Jesus calendar, Exalted, features beautiful photographs and inspiring Bible verses, complemented by extracts from some of the best writings of Selwyn Hughes. Expounding on the eternal truth of God's Word, Selwyn challenges, comforts and inspires us with the reminder of God's inescapable and glorious presence. As we focus on His majesty and greatness, we recognise afresh His full and caring involvement in and supreme governance of our lives. Be refreshed each month as you turn the calendar pages to find Scripture and a corresponding thought on the theme of 'Exalted'. Every page also includes an attractive photograph, space to write your appointments, Christian holidays and national holidays for the UK, Eire, Canada, Australia and New Zealand. Every Day With Jesus Wall Calendar 2019 by Selwyn Hughes was published by CWR in August 2018 and is our 2990th best seller. The ISBN for Every Day With Jesus Wall Calendar 2019 is 5027957001718. I buy the Every Day with Jesus calendar most years because of the encouraging scriptural content and the beautiful photographs. It is just the right size for me. Got a question? No problem! Just click here to ask us about Every Day With Jesus Wall Calendar 2019.